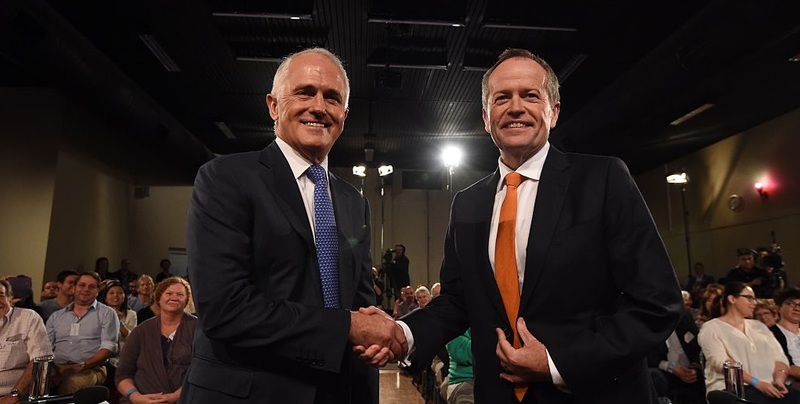 The Australian government and opposition have largely focused on domestic issues in the election campaign. This emphasis is understandable, but in the longer term the government elected on this weekend will need to address the greatly changed world of 2016. Both Foreign Minister Julie Bishop and Shadow Foreign Minister Tanya Plibersek have addressed the Lowy Institute on foreign policy issues, and they have also debated each other at the National Press Club. But while speaking of the need to adapt to change, the government and the opposition have not addressed in depth the fundamental question of how to react to the great changes in the Asian and South West Pacific region over the last two decades. The government elected on 2 July and the subsequent opposition will need to show real leadership, rather than simply responding to the popular political attitudes which have so far characterised this campaign. Both will need to acknowledge the fundamental changes in our region and the need for Australia to reshape our national psyche, which must be focused much more on Asia than on our well-established links with the US, the UK and Europe. As a part of this refocusing, making Australia a republic should be moved onto the political frontburner. The new government will need to react to the continuing transfer of global economic power from the West to the East and from the Atlantic to the Pacific, which will continue into the foreseeable future. This major shift (driven by the particularly spectacular rise of China, but also by the rise of India, the continuing economic strength of Japan and South Korea, and the growing potential of Indonesia and Vietnam) constitutes an historic global turning point to which Australia must respond if we are not to find ourselves left behind. The most important strategic policy issue the new government will face is determining a more appropriate and updated balance in our relations with the US and China. In doing so we should not be afraid of forward-looking change. The ANZUS Treaty is somewhat outdated, and should not be regarded as a guarantee of American military support; the only time Australia has sought American support under ANZUS was during the Indonesia-Malaysia 'Confrontation' in the 1960s, when Australian troops were involved in conflict with Indonesian forces. The US declined to become involved. The need to focus on the Asian and South-West Pacific region means that Australia should withdraw from the highly complex situations the Middle East, situations in which it cannot help ease tensions. Australia should withdraw its remaining forces from Iraq (which is on the verge of becoming a failed state), and withdraw its forces from Afghanistan. While there was a case for the invasion of Afghanistan after the attack on the World Trade Centre in 2001, 14 years later this is no longer a relevant or desirable use of our forces. Objectives once deemed indispensable have been downgraded or abandoned. The resulting savings could be much better used for education, health and research. Both Bishop and Plibersek have spoken of the need to work within the established 'rules-based international order'. The incoming government will need to acknowledge that this international order was built mainly by the US after World War II, and that rising countries (such as China, India, Indonesia and Vietnam) now want to participate in shaping an agreed order for 2016 and beyond. Australia's foreign and security policies should focus on strengthening an independent, international identity for Australia. Our government will need to show more understanding of Russia's concerns about US attitudes to NATO, and on the status of Crimea. It should also avoid provocative comment and actions on the South China Sea claims. China sees itself as largely reacting to US actions, including its encouragement of Vietnamese, Malaysian and Philippine criticism of China and support for their claims. The elected government should move quickly to support the evolution of an Asia-Pacific community, as all countries in the region (with the exception of North Korea) share the need for a peaceful, stable and economically growing region. In the meantime, the government should put its views forward in bodies which already meet at the head of government level, such as the East Asia Summit (which now includes both the US and Russia) and the G20. Countries in our region need to know what current US policy really is. For example, to what extent does the US State Department acknowledge or support what the US military advocates? To what extent does the Australian Department of Foreign Affairs and Trade acknowledge and support what the Australian military establishment advocates? These two militaries work closely together and regard China as a security threat. I have urged for some time that both the government and opposition should cease their excessive public support for the Trans Pacific Partnership (TPP). Following US pressure on Japan, which agreed to join in the context of economically containing China, major growing economies such as India and Indonesia will not join. Indonesia has said it would 'consider' joining, but this is now very unlikely, especially as in the US both Hillary Clinton and Donald Trump now oppose the agreement. The new government must unambiguously signal to the Australian public, to China, to the US, and to other Asia-Pacific countries that while our values differ to China's, and we are in an alliance with the US, Australia welcomes the rise of China, opposes policies directed at the containment of China, and sees no intrinsic reason why China and its system of authoritarian capitalism cannot continue to rise peacefully (despite the major social and economic problems it faces). As former prime minister Kevin Rudd said with respect to the US, 'alliance' does not equate to 'compliance', and with respect to China, understanding its policies does not equate to agreeing with them. Our incoming government will face great opportunities and challenges in the Asian Century. The next generation of forward-looking leaders must facilitate Australia's continuing integration with its Asian and South West Pacific neighbourhood, and ensure that Australia is a less complacent, less self-satisfied and a more economically competitive and compassionate country.